Learning from Life: Talents...everyone has them! Today in church we talked about Talents and how everyone has them. We talked about how you can be born with some talents, but if you don't use them then you can lose them. We talked about how you may not have been born with certain talents, but could develop them throughout your life time. I love the story in the book of Matthew 25 verses 14-29 about the parable of the Talents. In that scripture we learn that the Lord totally expects us to use and develop our talents. 1. You must discover what talents you have. 2. You must be willing to spend the time and effort to develop your talent. 3. You need to have FAITH that your Heavenly Father will help you in developing talents. 5. You need to practice using your talent. Every talent takes effort and work. 6. You should be willing to share your talents with others. By using our talents we grow and learn. Tears ran down her cheeks as she accepted the recognition. Many thought she was touched by the victory ceremony. The thing most of the audience did not know was the story of her determination, self-discipline, and daily action. At the age of five she had polo. When the disease left her body, she couldn’t use her arms or legs. Her parents took her daily to a swimming pool where they hoped the water would help hold her arms up as she tried to use them again. When she could lift her arm out of the water with her own power, she cried for joy. Then her goal was to swim the width of the pool, then the length, then several lengths. She kept on trying, swimming, enduring, day after day after day, until she won the gold medal for the butterfly stroke—one of the most difficult of all swimming strokes—in Melbourne, Australia. 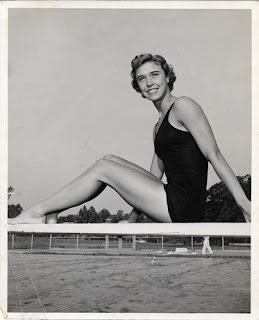 In 1984, she was inducted into the International Swimming Hall of Fame for her accomplishments.